We have been doing very detailed auto value appraisals for many years, and we are receiving more and more demand for them. 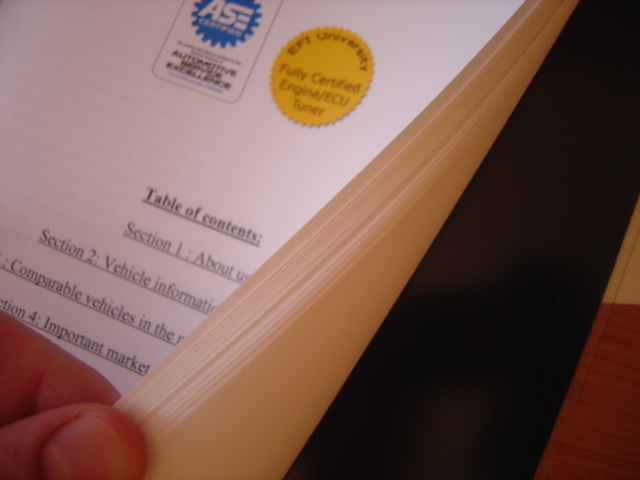 They are typically 15-25 pages and work very well for agreed value insurance policies, bank loans for auto financing, insurance damage claims, and more! 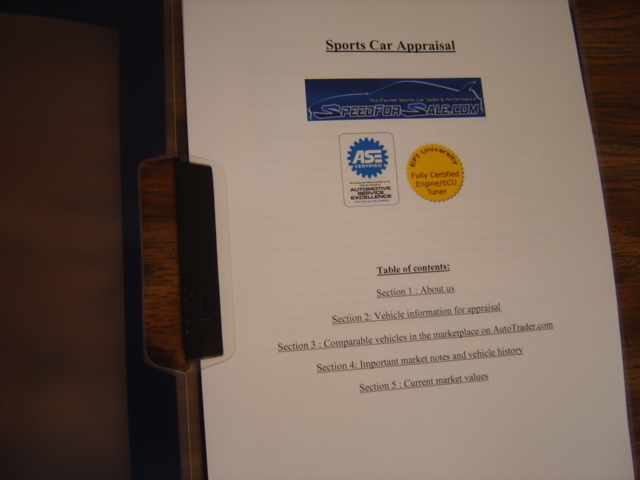 We specialize in sports car appraisals, but can write an appraisal for any car or truck if needed. You can read feedback from customers who have used our appraisal service by CLICKING HERE. 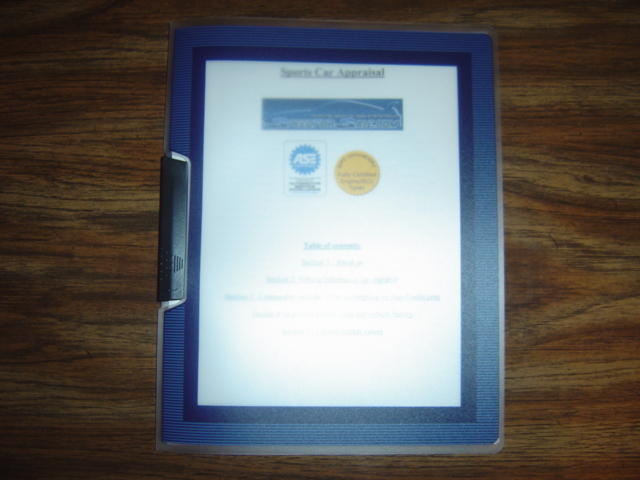 The appraisal cost is $295 for a digitally signed PDF version, and an additional $25 if you would like us to mail you a high quality full color hard copy of the appraisal in a binder (as shown below,) along with free shipping for the lower 48 United States. This also includes up to 15 minutes of telephone support with any third parties, including banks, insurance companies, and others. Any time beyond this initial 15 minutes of support is billable at $109/hour. Any OFFSITE work such as LEGAL MATTERS or anything else is billable at $250/hour, which starts from the time our employee leaves our shop until the time they return to our shop. 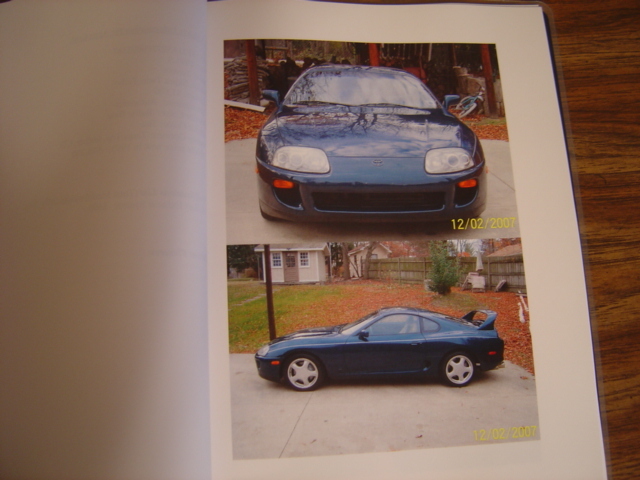 If you would like us to do a value appraisal for your car or truck, please email us at Sales@SpeedForSale.com and we’ll reply with the information packet you need to fill out and return along with pictures of your car. Our appraisals usually take about one week to complete. On-site appraisals are also available at our facility here in the Atlanta area for an extra fee…please inquire for details.